Everywhere you go, there’s a Nigerian. For some reason, someone knows someone who knows someone who knows a Nigerian. There’s always someone popping champagne at the clubs… It’s possible he’s a Nigerian. We are everywhere and you know know us! Or at least, you have to know one of our biggest exports in the last decade.. Wizkid. You don’t? Come on, you’ve listened to Drake’s One Dance. Listen, Nigerian music is 🔥. Our weddings are glamorous, our movies are outrageously popular. So yeah, you know Nigerians for something more than just blue collar fraud. I mean, it’s a country of almost 200million people – most populous nation… What do you expect? So, here’s a book that helps you navigate your interactions with Nigerians 😄 or at the very least helps you get US. Why we love our education so much, why we have such a strong and family network base, why we dress all colourful and come out in our Sunday Best to a little work do? 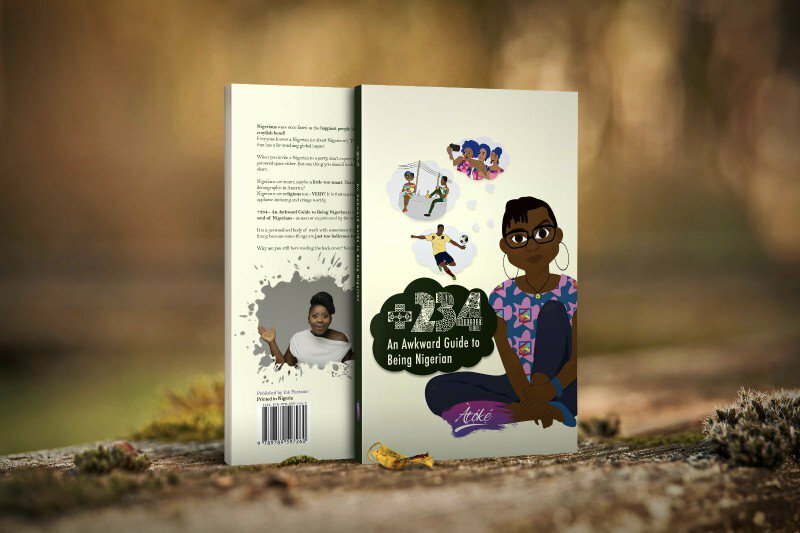 +234 – An Awkward Guide To Being Nigerian is a collection of essays that illuminates Nigeria, through the eyes of a young Nigerian woman who has now found home in Toronto. This book will make you laugh, think, cry, laugh some more and more importantly… Make you wanna buy more copies to give your friends.